Have you become injured in a personal injury accident in the workplace but stumbled across a few issues? Perhaps one of these issues was regarding your employer and discrimination you may face in the workplace. Were you told that you could lose your job due to your injury? Were you wrongfully terminated? Now you can find out more about this code and what it entails – and also, how it can help you and your case. Section 132a states, “It is the declared policy of this state that there should not be discrimination against workers who are injured in the course and scope of their employment.” But, again, what does this entail? The code works to protect those who are fearful of losing their employment based on an injury they have received in its course. Section 1 states its protection against “any employer who discharges, or threatens to discharge, or in any manner discriminates against any employee because he or she has filed or made known his or her intention to file a claim for compensation,” dealing with workers’ compensation and injuries (Onecle). Let’s consider a situation in which you are injured on-the-job. Perhaps an employer pushed you to work hard on a project above your skill level and didn’t give you the proper precautions necessary to tackle the work safely. Or, perhaps you weren’t supplied with the right equipment. If you have become injured and filed for workers’ compensation, your employer will not be able to discriminate against you. This means that they cannot discharge you or even so much make a threat of discharge against you just because you were injured at the workplace. What happens if you just so happen to be discriminated against anyway? You will be entitled to a penalty that should not exceed $10,000. You will also be entitled to reinstatement and reimbursement regarding lost wages and work benefits (Ryu). A violation of public policy involves firing an employee for reasons that are illegitimate grounds for termination. Some states will work to protect employees from being fired for specific reasons. It is policy that employers cannot fire you because you exercised a legal right, such as filing a workers’ compensation claim or reporting a violation of the Occupational Safety and Heath Act (OSHA). As far as discrimination in the workplace is concerned, it is highly illegal. If you believe you were fired because of race, gender, pregnancy, or any other reason, it is in your best interest to speak to an attorney. The case is the same with being fired due to an injury you sustained at the workplace. You should always be aware of your state’s specific statute of limitations when it comes to applying for discrimination claims. Retaliation is another general issue. Employers are forbidden from retaliating against an employee who has engaged in a legally protected activity; and in this case, applying for workers’ compensation is legally protected. You must be able to prove that doing the activity caused your employer to act. This means, if you were reprimanded right after your employer found out about the workers’ compensation claim, you may have a case (Repa). 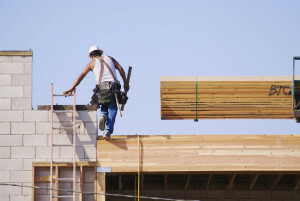 If you were injured on the job, seeking workers’ compensation may be your best bet. However, where do you turn if an employer is discriminating against you due to your claim? You can call an attorney that you trust. At RAWA Law Group, we will work with you to use our experience and meet your needs. Call today for a free consultation.